Audience: K-5th grade, but all are welcome! click on this link: Discovermass.com and sign up. It’s fast, easy, convenient and free! 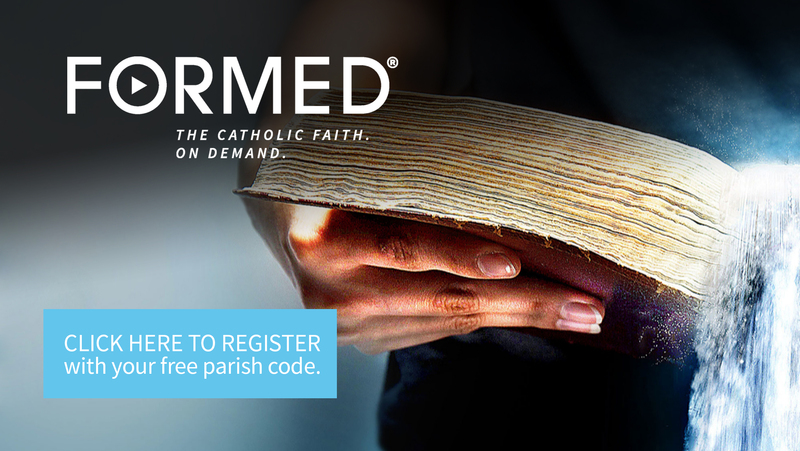 Visit syracusediocese.org and click the "Sign Up" tab. Saint Casimir Chapel in the Ministry Building is open during parish office hours, 9am-4pm, for private prayer. Everyone is welcome! Online Giving: Click here to set up your online contributions. For smartphones, search your phone's app store for "GivePlus Church" or contact parish office. Welcome to Saint Joseph’s Church on the web. Saint Joseph’s is a home to all God’s children. We extend a warm welcome to all visitors. We are honored with your presence when you are able to join us for worship, guidance, instruction or for fun. If you are new to the area or coming home, we invite you to make Saint Joseph’s your Parish by registering at the Parish Office. If you are visiting from out-of-town, we are glad you are here. When you are in town again, please stop by. On Vacation? Check www.masstimes.org or call 1-800-MASS-TIMES for Church location and Mass schedule. Tuesday and Thursday at 8 am; Saturday from 3 pm to 3:45 pm or by appointment. Monday – Friday, 9:00 a.m. – 4:00 p.m; Summer - office closes at noon on Friday. Recited in the months of May and October at 3:30 p.m on Saturdays before 4 pm Mass. Votive candles can be lit at the Pieta (Altar of Our Lady of Sorrows) in the Church Alcove, to the right of the Church entrance. To lessen the fire risk we use the glass candle holders that are more expensive. We therefore suggest a donation of at least $3 for every candle that is lit. You may leave your donation in the basket provided or in the metallic box on the wall. To request a sanctuary lamp for a week, please call the rectory. Prayer is powerful! We participate in this great devotion both as individuals and as a community at the area Chapel of Perpetual Adoration at Holy Family Church. The chapel is open 24 hours a day, 7 days a week. This is a good opportunity to spend some quality time with the Lord. Contact the Rectory Office for more information. Additionally, the St Casimir chapel at Saint Joseph's is open daily from 9 am - 4 pm. The chapel is located in the Ministry Building. We, the people of St. Joseph's, guided by the Gospel and nourished by the Sacraments, are called to serve rather than to be served, to accept rather than to judge, and to love one another as God has loved us. O GLORIOUS St. Joseph, you were chosen by God to be the reputed father of Jesus, the most pure Spouse of Mary, ever Virgin, and Head of the Holy Family. You have been chosen by Christ's Vicar as the heavenly Patron and Protector of the Church founded by Christ. Therefore, with the greatest confidence I implore your powerful assistance for the whole Church Militant. Protect, in a special manner, with true fatherly love, the Sovereign Pontiff and all the bishops and priests in communion with the See of Peter. Be the protector of all who labor for souls amid the trials and tribulations of this life; and grant that all the nations of the earth may submit with docility to that church out of which there is no salvation.